Not one of the best days but then again it is still only January. It started out wet and to ended being wet although at times it did look like it was going to brighten up at one point. I’m not sure if it’s because I live on the coast that we do get all the horrible weather, I know if got 5 or 10 miles inland the weather is totally different. Does the weather change where you live like that, you only need to go a few miles away and the weather is completely different? Onto take a photo a day, with it being dame and to be fair there is much in the garden to take photos of at the month with being I the dead of winter. So when I was out looking for something to photograph there were a number of birds flying around. 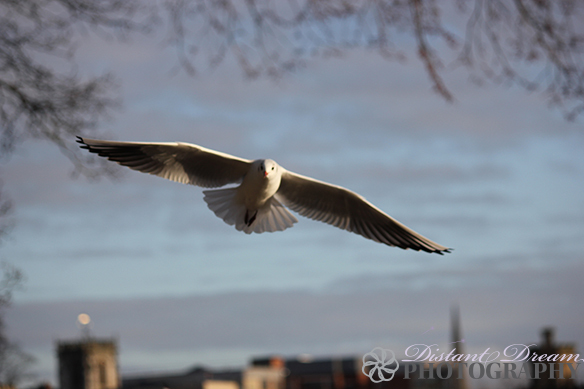 Have you ever taken photos of birds in flight? it’s hard to get them into focus. after taken I don’t know how many photos I was getting cold and decided to go off in and see what I had got. Very disappointing but at least I had a few to choose from.